Be fertile and multiply and fill the earth. That one line keeps coming back to me. Some may think, “Well, of course it does. You’re a mom with four kids.” True, but that’s not what is moving me. It actually reminds me of my single days. Those “waiting years” were tough. There was this constant ache of longing for my vocation as a wife and mother but no answer in sight. It also reminds me of my first years of marriage. The ache for children was still there. It took over a year to conceive the first time. Then over six years we lost two babies until we were finally blessed with new life we could hug and hold. Looking back, I see God was patiently teaching me two big lessons. First, I needed to focus on where I was at that moment instead of pining for something that had yet to come. Second, I didn’t need to be a mom to have a mom’s heart. I started to open my eyes and see how He placed certain people in my life for a reason—from family to friends to the random lady in the grocery store. God has numerous children in need of love and intercession. Even this morning, as I was praying I had this overwhelming need to specifically pray for a person I hadn’t seen in years. I wept for her and it baffled me. Why was I feeling so much? 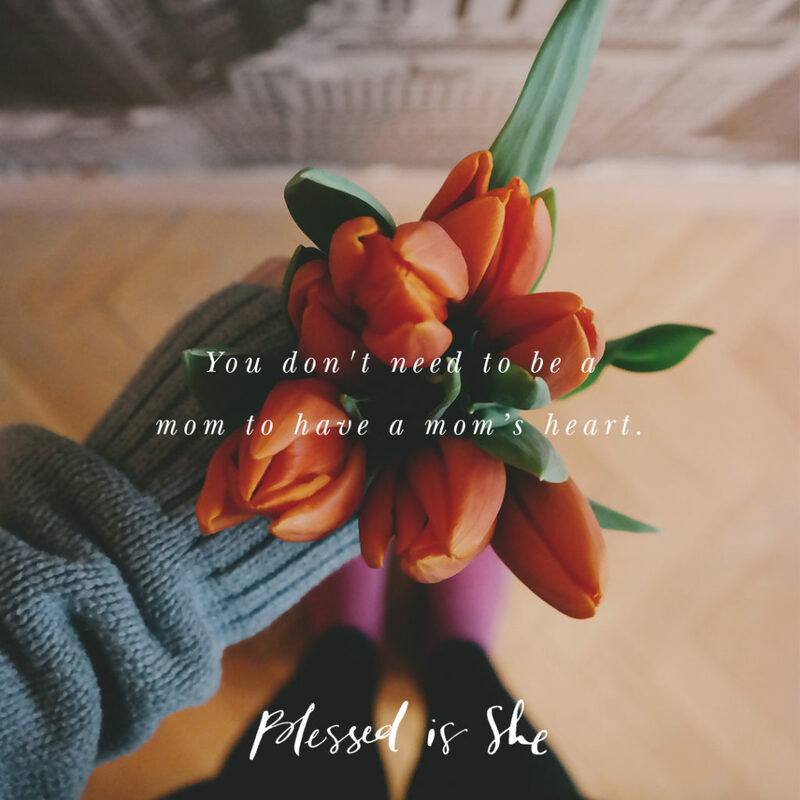 I reflected on it and God was reminding me of something I had forgotten lately—being a physical mom is important but being a spiritual mom can be even more powerful. God needs motherly hearts to embrace His children that need it most. It does not matter if those hearts belong to teenagers, single women, wives without kids, moms with many kids, grandmas, religious, or whatever the case may be. What matters is that a spiritual mother’s heart is ready to kneel and pray for the souls God brings to mind. She is ready to offer up the drudgery of her school studies or the difficult tasks at her work place or the exhausting chores of her busy household. She is open to the Holy Spirit to say the right words or just give a comforting hug to someone that needs it. These are the ways you, as a woman of God, can be fruitful and multiply. We are on a mission to help God’s children come back to His Kingdom and nurture them along the journey. Ask Our Lady to help you nurture your motherly heart. Think of someone you can pray for, or offer a sacrifice for, or perform a kind act to show them they are loved.